Suzuki Marine recently celebrated 50 years of manufacturing outboard motors. Over that time, the company has evolved into a world-class manufacturer of 4-stroke outboard motors, winning eight NMMA Innovation Awards for its design and technological excellence. Today, The Suzuki Marine line of fuel-injected 4-stroke outboards from 9.9 to 350 horsepower are the highest quality built and most technologically advanced outboards on the market today, for both recreational and commercial applications. 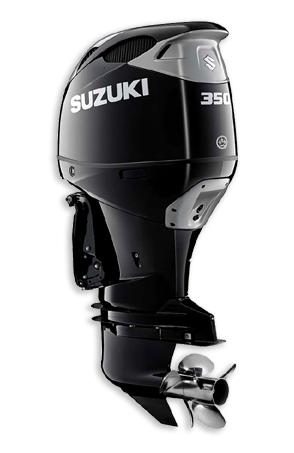 Most recently announced is the new Suzuki 350 HP DUAL PROP outboard! Cascade Engine Center is a preferred OEM Suzuki vendor to independent boat builders in the Pacific Northwest.